Kenneth Moss graduated from Plattsburgh University with a Bachelor of Arts in Psychology in 1996. He was then accepted into the Acupuncture Masters degree program at the New York College for Wholistic Health, Education and Research. In 1999, Ken obtained an Associate degree of Occupational Studies in Massage Therapy, a Masters degree in Acupuncture and his licenses to practice in New York State. Ken has been practicing NAET (Nambudripad’s Allergy Elimination Technique) since 2000 and was one of the first acupuncturists to practice NAET on Long Island. During 2004 he began to study Clinical Nutrition at the University of Bridgeport and obtained a Masters Degree in Nutrition in 2007. From the beginning of his practice as an acupuncturist, Ken has worked full-time alongside a variety of practitioners including chiropractors, physical therapists, massage therapists, medical doctors and nutritionists. This experience has given him the ability to relate to various health care professionals in order to provide patients with well-rounded care. In 2006, Kenneth moved his practice to Smithtown and started Smithtown Acupuncture and Wellness, PC with the dream to create a holistic-minded office that blended the best of eastern and western medicine. 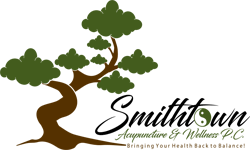 At Smithtown Acupuncture and Wellness, acupuncturists work side-by-side to provide patients with comprehensive health care. In 2015 Ken decided to pursue his Doctorate in Clinical Nutrition and in May 2018 he graduated from Maryland University of Integrative Health.